Join SpoiledLatina for the @Downy Twitter Party!! The holidays are coming soon #SpoiledOnes, and don't you always have the hardest time trying to decide how to wash your favorite holiday outfits? Well join @Amanda_Allison, @AliciaBorchardt, and our very own, @SpoiledLatina this Thursday at 6 PST and 8 CST for their tips on holiday fashion and fabric care! 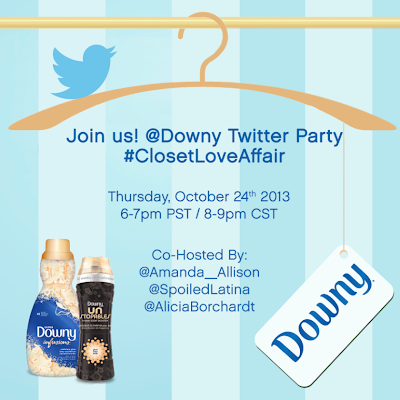 During the Twitter party, a year supply of @Downy will be given away every 15 minutes! So don't miss this #SpoiledOnes! One of SpoiledLatina's favorite holiday outfits: perfect for Texas weather, the worst on laundry day!